Updated 09-30-09. Of all the dishes that the immigrants from Vietnam brought with them to American shores, Vietnamese pho is probably the dish that most Americans find recognizable. Americans actually find pho appealing because it is so rich in flavor and healthy to eat. For some of my friends it's hard for them to describe pho and why they like it, but they keep coming back for more. For me, there is no mystery in a bowl of pho. It's just good. Vietnamese pho started showing up in the United States in the latter half of 1970s, when the Viet refugees left Vietnam to escape Communist rule in the country, as well as the degrading economic conditions in Vietnam at the time. The United States was the country of choice for many Vietnamese to relocate to because, in part, of the special relationship Americans had with South Vietnamese before the Fall of Saigon in 1975. In that chaotic period of history of those who left home, the Vietnamese found themselves lost and displaced from everything that is familiar to them and as a result sought comfort in their own food, in pho. Intially these were mostly homemade varieties. 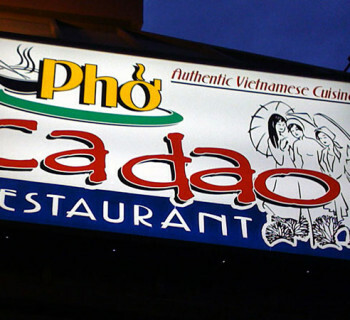 It wasn't until later that pho restaurants and shops started appearing in local communities. 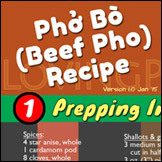 In the few years right after 1975, it was difficult to find ingredients to make any Viet dish properly. Many turned to Chinese food markets for something they can make do in their cooking. Later on, thanks to a few entrepreneurial Viet, more authentic ingredients were imported and made available at local Asian markets. Those who knew how to make pho, including restaurateurs with well-known pho restaurants before leaving Vietnam, opened up small pho shops to offer compatriots a big taste of home. For those who cannot cook pho for themselves, they went to these neighborhood shops that mushroomed in communities where the Vietnamese immigrants have settled. They savored what pho they could get, even when some was not exactly like the kind served in Vietnam. This is how pho in the U.S. first came to be. On top of that, many American soldiers who stationed in the country during the Vietnam War also found themselves hankering for the hearty fare that is pho. 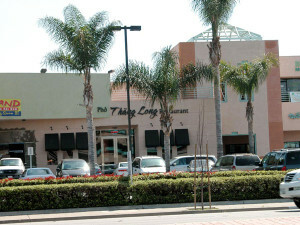 Regardless of the feelings about the war itself, many visited these small pho shops in Little Saigon in Southern California and other Vietnamese communities that sprouted around the United States. They ate pho with great knowledge, and even introduced other Americans to the dish. Soon enough, with more Vietnamese taking their American friends to the noodle dish, Vietnamese pho found its way into regular restaurant visits by Americans. Like more history? Read the post on "The History and Evolution of Pho: A Hundred Years’ Journey." For an excellent recount of the Vietnamese experience and history of Little Saigon, see "Little Saigon, Orange County - California" by Wandering Chopsticks. Finding Pho in the U.S. If you want to find pho in the U.S., all you need to do is to step out of your doorstep, especially if you are living in California, in Washington, in Texas or in New York. A pho craze seems to be sweeping the United States today, and there are thousands of restaurants serving pho in the U.S. The Pho Fever website alone lists nearly two thousand restaurants in its directory, mostly concentrated in the four states mentioned above. These places serving pho range from street stalls in Vietnamese communities to mom-and-pop operated restaurants to fine dining restaurants like Mai Pham's Lemon Grass Restaurant in Sacramento, California. 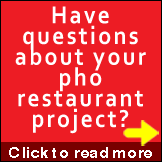 There are also pho franchise chains like Pho Hoa and Pho 2000. Gone are the days when you have to go to a Vietnamese neighborhood just to get a bowl of pho in the U.S. Most of these restaurants serve the southern version of pho, with various cuts of beef and with the ubiquitous plate of herb and garnishing. Restaurants serving strictly northern pho are not as popular but are certainly holding on with a loyal following of their own. According to this New America Media essay on pho, "Pho: International Food Vietnam's Gift to the World," one rule of thumb that you should use in judging whether a bowl of pho served in pho restaurants in the U.S. and anywhere else in the world is the size of the restaurant's menu. Making pho takes a lot of time and requires a lot of the cook's attention, so typically the smaller the menu, the better the pho. Restaurants that serve good pho also offer other dishes, but these dishes are usually meant to complement pho itself. Invariably there's always someone in the group who wants something other than pho, so this is a nice compromise. Pho is a distinctly Vietnamese dish. Now, why is there a craze for pho in the U.S., as shown by the mushrooming of pho restaurants in the U.S., in the emergence of pho blogs and information sites on the Internet, and even the so-called pho fashion? Here are the reasons I can see. One is that the United States is a global melting pot. There are more than 1.6 million Viet living in the United States as of 2007. Most are first-generation immigrants after the Fall of Saigon and their immediate second-, third- and even fourth-generation families. The pho restaurants proliferating in the U.S. are a reflection of these people's need to connect with their own heritage, while making the new land their new home. Pho is what Vietnamese eat, so where there are Vietnamese, there exists pho. Another reason is that Americans are becoming aware of the cuisines and cultures outside their own. That can be said to be a result of the United States being a global melting pot, with so many immigrant populations residing in the country. They are first lured by the exotic tastes and flavors identified with the cuisine, and if they like it, learning the culture follows. And as Vietnamese involve themselves in the American society, friendships are made, and where there are friends, there are the rituals of sharing of meals. This has been how many Americans were introduced to Vietnamese pho. Americans like it because of the complexity of flavors that one can encounter in a single bowl. Pho is a deceptively simple dish, but pho diners could not get enough of the layers of flavor in the broth alone, created by the beef long simmered in gentle heat and underscored by the spices added into it. Then take into account the noodles, the beef slices, the garnishing and the sauces that can be put into the broth. With a bowl of pho, you have a complete meal. And yet another reason that has contributed to the appeal of pho to American tastes is the fact that pho is healthy to eat, very much more desirable than the burgers and the other calorie-rich foods that make up typical American fare. 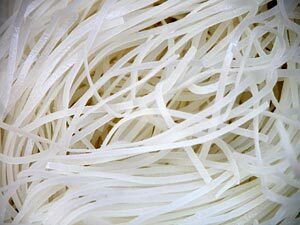 Pho is rich in protein, vitamins and minerals. Health buffs that are unaware of how pho is made may be scared away by the idea of grease and fat that comes from creating broth from beef marrow. But all that grease and excess fat are scooped and strained away from the broth, making it friendlier for health-conscious people. 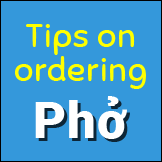 But if you're a hard-core pho fan, don't miss my articles on "Understanding the Pho Menu," and "Tips on Ordering Pho Your Way." It is interesting to note that pho in the U.S. has not just created a food craze but a fashion craze as well. It's not surprising, really, as creative, entrepreneurial, and sometime wacky, ventures can happen to any product in the U.S., the land of opportunity. So pho is no exception. 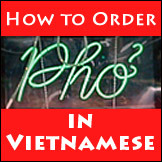 There are a number of websites, including PhoFever.com, that sell T-shirts and garments proclaiming the wearer's love for pho. 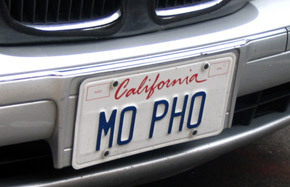 There is even a personalized license plate sighted in San Francisco that declares the car owner's need for more pho. Perhaps another noteworthy development with regards the craze for pho in the U.S. is the fact that StockPot, a company that falls under the umbrella of the Campbell Soup Company, has partnered with Vietnamese culinary expert Mai Pham to create a commercial and canned pho broth. A very American idea. Pho may be the national dish of Vietnam, closely linked to Vietnam's history, culture and traditions for more than a hundred years. Pho franchises are becoming a reality with the intent to spread. Today if you go to YouTube.com and search for the word "pho," you'll find thousands of videos people have uploaded and shared with others. The same is true in other social network websites too. With American kids (Vietnamese or otherwise) growing up loving pho, my only concern is, in a few more decades, pho will be too Americanized and lose its identities. But I'll worry about that over my next bowl of pho.